In the months leading up to the Motoscape Banger Rally, many teams start their fundraising for charity. This week the team at Motoscape HQ came across Team Grayson’s Facebook Page and an article written by Nigel. We urge everyone to read this below, if you are not planning on doing the rally for charity, maybe you will consider it for this year or even in the future. The Motoscape Team are more than happy for teams to take part in the rally just for a laugh and a good time, but it’s stories like this that give us the real motivation to run the rally, so people can take a positive look on things and raise money for charity by doing something completely different. In January my girlfriend and I had our first beautiful baby girl, Myla, weighing 4lb 4.5ozs. She was premature at just 36 weeks due to some complications in the pregnancy. We were incredibly lucky as she was able to take care of herself, didn’t require any special medical treatment and came home after 4 days. Shortly after we found out we were pregnant my friend Jerome found out that he and his wife were expecting as well. We were really excited, often sharing our experiences and any tips that we had learnt along the way. They gave birth to their gorgeous little baby boy in February, Grayson. He was also premature due to complications, 34 weeks, weighing just 3lbs. Unfortunately that is where the similarities end. He was doing very well but a few days later they discovered that he had necrotising enterocolitis, a devastating bowel disorder that mainly strikes in premature babies. By the time he was diagnosed it was too mate. He passed away shortly after, just 7 days old. It’s effected me in a big way. Partly because I’ve been devastated for the loss of my friends baby, a poor innocent little thing that was never given a chance. But over time I’ve realised that our babies were only 2 weeks apart. There was a 3% chance our angel could have developed the disorder, and that scared me. To be honest I’ve struggled to think about much else in the past week or so. However, I’ve decided that instead of looking back on everything I want to take this experience and move forward in a positive way. I don’t want to just sit around when I know I could do something to help others in the future when this disorder occurs. 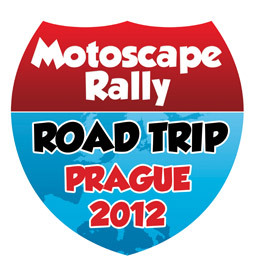 A good friend of mine Greg Bolshaw and myself, have just registered to take part in the Motoscape Rally 2012. It’s a 7 day rally starting just south of Calais on 1st September 2012 and finishing 7 days later in Prague, Czech Republic. We’re doing this to try to raise money for Action Medical Research. The reason for this is they’re currently researching necrotising enterocolitis. Their aim is to develop techniques/apparatus that will allow the disorder to be detected much earlier. That way babies can be treated before it is too late. They also research a range of other conditions, it’s a very worth while cause. It’s a banger rally so we need to get hold of a car with a value up to £333, then drive it 1,600 miles to Prague! I’m going to try to keep this blog up to date with everything that goes on leading up to the Rally, as well as the goings on during the rally itself! 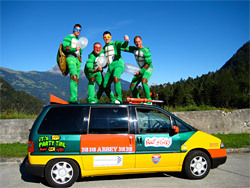 We are delighted to announce that the 2012 Motoscape Banger Rally is now full!!! This is quite amazing as we are only in February. It is definitely the fastest take up rate ever, so a big, big thank you to everyone who has registered. It’s an awesome experience!!! There may be some additional spaces released if any teams need to cancel their booking due to unforeseen circumstances, therefore please complete our “register as a reserve” form if you want to be put on the reserve list. This will be on a strict first come first served date order basis to be fair to all teams. This year’s rally is gearing up to be the biggest and best in Motoscape history and the organisers, Paul, Peter and Mark are busy working hard to ensure all hotels, challenges and information packs are all first class. 1. Beg, borrow or buy a European Sat Nav (including eastern Europe if you are going to Prague)… they are invaluable!!! The purists can of course use a compass and map book. 2. Digital camera / quality camera phone with the ability to send data over the internet (this is useful if you are running late to ensure the daily challenges are sent before the cut off time). 3. Try and obtain your car early and drive it around for a while. Drive it up long hills in low gear / high revs. This will generally identify many potential issues with the car. 4. Decorate the car! It’s worth making the effort!!! Most teams really do go that extra mile and you never know, you may win the “best-decorated car” cash prize. 5. Bring a few quid for some beers, wines or lattes (whatever floats your boat) and a sense of humour! The trip is a fantastic way to get a taste of Europe, have a few laughs along the way and meet a great bunch of people. …………………… and finally SET OFF IN GOOD time for the meet in St Omer. Registration will open from 12.00 midday and the earlier you arrive the more people you will get to know, plus if there are any issues with your car there will be lots of people willing to help in the car park! Don’t forget, you can join our Facebook page (Click LIKE) and follow us on Twitter to communicate with fellow “Motoscapers” and get the latest news, updates and pre-rally build up. If anybody has any question don’t hesitate to give us a call on 0113 282 3181 or drop us an email at contact@motoscape-rally.co.uk.